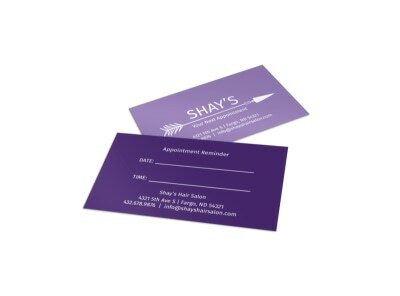 Keep the chairs in your shop filled to capacity by sending appointment reminder cards to your regular patrons. Our beauty reminder card templates let you customize your own cards with your choice of text and other elements. Upload your own photos to your design, or rely on our premium stock photos to make your cards really stand out. Our online editor lets you customize every aspect of your cards, so your design is truly one-of-a-kind when it arrives in your clients’ hands.